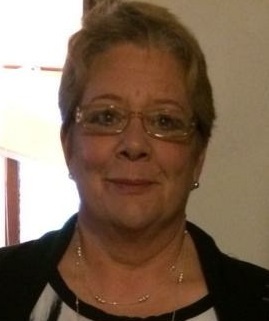 Pamera A. Giannino, 54, of Union Springs, passed away on Tuesday September 4, 2018 at Auburn Community Hospital. Pamera loved her family and bringing everyone together. She enjoyed cooking and shared her gift at the Be Happy Café in Union Springs and around family dinners. Pamera was also very good at pulling pranks and brightening the mood during difficult times. Pamera will be remembered for being strong and showing her love to her family and friends. She was the best wife, mom, sister and grandmother. Daughters: Jennifer Czornig and her husband Joseph C.
Pamera is predeceased by her father Anthony Wilmot Sr. & brother Tony Wilmot Jr.
Visitation will be from 2pm to 5PM on Sunday September 9, 2018 at Shakelton Funeral Home, 48 South Street, Auburn. A mass of Christian burial will be at 11AM on Monday September 10, 2018 St. Patrick’s Church, 303 Main Street, Aurora. Burial will be at St. Patrick’s Cemetery in Aurora.